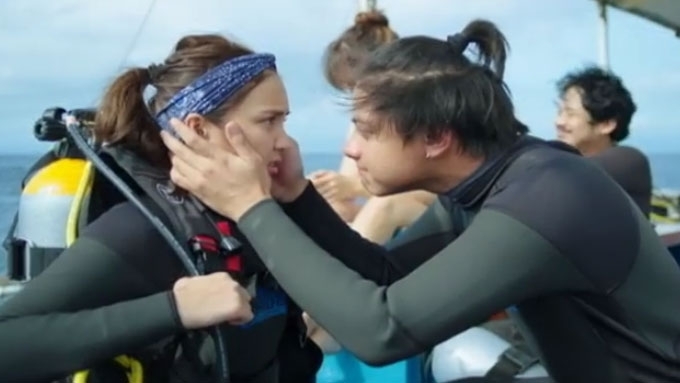 Daniel Padilla pinched Kathryn Bernardo's face during one of their scenes in Can't Help Falling In Love, which was shot in Cebu. 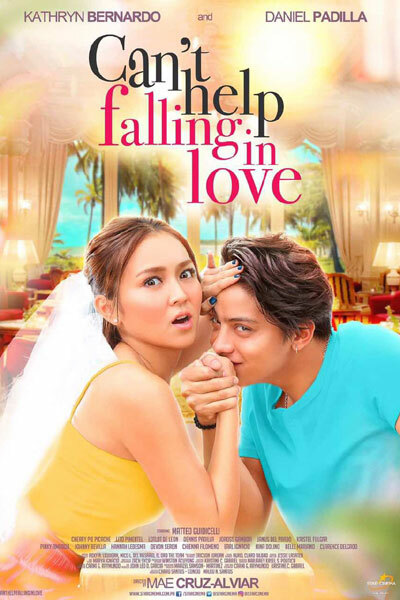 The second teaser of Kathryn Bernardo and Daniel Padilla's upcoming movie Can't Help Falling In Love showed more sweet moments from the onscreen couple. Just like their past movies, their new Star Cinema movie features scenic places. This time, the Kathniel tandem shot in Cebu and Bohol. 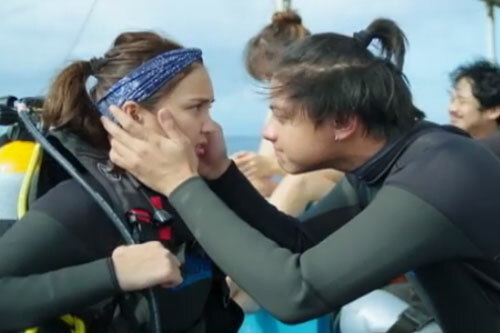 Kathryn's character Gaby and Daniel's character Dos also engaged in water activities such as scuba diving and cliff diving. During the scuba diving scene, it can be seen that Dos pinched Gaby's face. Gaby and Dos also took selfies at the Chocolate Hills in Bohol City. In the past, Kathryn and Daniel's movies featured picturesque locations mainly in Albay, Bicol (She's Dating The Gangster, 2014), Mt. Pinatubo in Pampanga (Crazy Beautiful You, 2015), and most recently, in Barcelona, Spain (Barcelona: A Love Untold, 2016). Aside from the second teaser, the movie directed by Mae Cruz-Alviar has also released its official posters today, March 21. The movie is scheduled to be shown on Black Saturday, April 15. Can't Help Falling In Love also features Matteo Guidicelli, Cherry Pie Picache, Lotlot de Leon, Lito Pimentel, and Dennis Padilla. Kathryn to Daniel in teaser: "Gusto mo pigain ko apdo mo?"